There are lots of beloved American businesses out there, but few of them receive feature-film testimonials to their greatness. Fewer still feature a cavalcade of rock stars singing the praises of the company, using the kinds of superlatives normally reserved for the musicians’ own sense of importance. 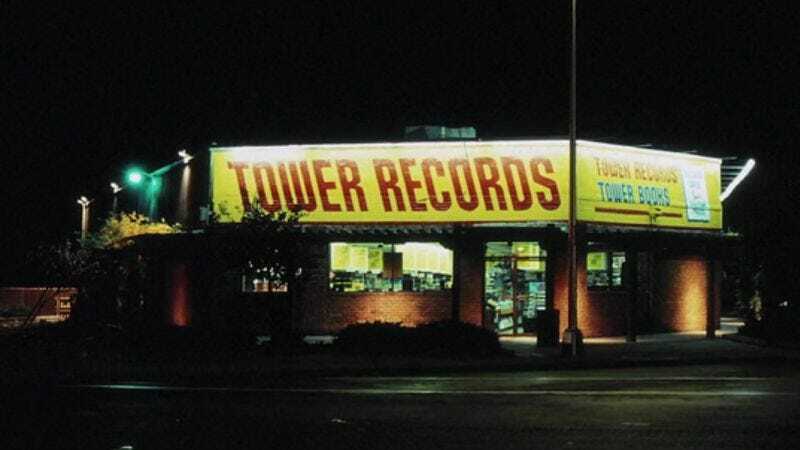 Such is the legacy of Tower Records, the long-running record store and eventual international chain started by Russ Solomon in his father’s Sacramento drugstore. For more than 90 minutes, All Things Must Pass doles out tribute after tribute to the unique magic of this musical institution and the people who ran it, and if the homilies eventually feel a bit repetitive, the warmth and goodwill generated by the landmark company are conveyed by this earnest and affectionate documentary. The story is a familiar one, but the outsize influence and star wattage of the people interviewed makes it compelling anyway. It’s the ascendancy and eventual destruction of a business, from humble beginnings to international influence, until the wilting and finger-pointing that routinely accompanies the breakup of any such large-scale enterprise. Born in the California of the 1960s, Tower Records was the epitome of right-place right-time, a good idea of how to run a music store that happened to find itself at the center of a music-culture explosion. After building a reputation as the biggest and best record store around, it slowly began expanding beyond state borders, first to the East Coast, then inward and outward, to suburbs and foreign countries alike. Eventually, the chain went bankrupt, the realities of a post-Napster world (combined with some bad business practices and inept corporate restructuring) taking it down, despite being the business at which Elton John, in a charming moment, claims to have “spent more money” than anyone on the planet. Speaking of Elton John, he’s just one of several attention-grabbing talking heads that appear here; along with the Rocket Man himself, David Geffen, Bruce Springsteen, and Dave Grohl all give lengthy discussions of their affection for Tower. In part, this helps to balance out the almost single-minded attention to the people at the very top. Solomon and his family, Vice President Bud Martin, and a small coterie of other higher-ups dominate the story. It’s understandable that director Colin Hanks would choose to focus on a few central personalities; it puts a human face on the narrative arc of a business, giving the viewer someone to identify with during the company’s rise—and feel sympathy for when it falls apart. Still, it would have been helpful to expand the assemblage of people whose lives revolved around Tower Records. Everyone on screen waxes poetic about the unique culture fostered by the music store, from the freewheeling employee expectations to the freedom granted each individual store to develop its own personality. (The word “family” is thrown about so often, you’d be forgiven for thinking Dominic Toretto’s gang ran Tower Records.) Given all this affection, some attention to the employees who spent the better part of their professional lives at one of these vaunted locations would’ve added some breadth to the narrative. And there are fascinating elements to the story that are passed over quickly. The company had its own advertising wing, which had free reign to invent and market any way they chose, but barely a frame of the movie is devoted to these people whose praises are continually sung. Happily, the stories left in possess vitality and verve, providing some pop to the sometimes-dry subjects of shipping regulations and finance debate, with Hanks’ camera seeking out the characters with the best perspective for each topic. It’s fun hearing about the employees literally expensing their cocaine use to the company, via the line item “Hand Truck Fuel,” or hearing a still-disbelieving store owner recount their dumb luck in opening a branch in Japan at the exact moment youth culture there developed an endless appetite for American rock ’n’ roll. 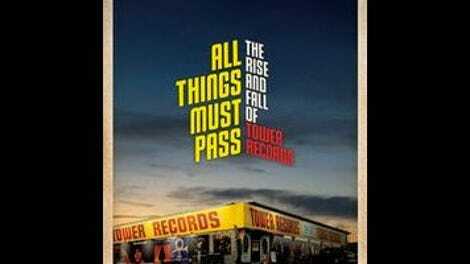 The film does an admirable job of depicting exactly what made working for Tower Records such a fulfilling and addictive job, even as it glosses over the more unsavory elements, such as the ingrained sexism present seemingly from the start. All Things Must Pass effectively mines nostalgia for a social culture of music centered around your local record store, and though it’s not much to look at, the emotional pull it generates is genuine.